Grimdark, Fantasy, Action, Adventure, Romance, Drama, and Tragedy. This story follows Thomas Grey, a half-wolf boy, and his meeting and acceptance into the Strays. The Strays were originally a small band of misfit roaming bounty hunters, but circumstances caused them to create a guild to house their growing "family". The reason for the change? That would be because of Jasper, a young dhampir girl. If I were to summarize the theme of the story it would likely be "The struggle of accepting oneself even when the world doesn't." I'm currently rewriting everything. None of what I have posted it up to date. If you do not want spoilers then I suggest not clicking these. How about this group is formed of all freaky characters that are different from other humans, and want to prove that all monsters are not the same thus they fight the mindless monsters that do evil? They could be compared to our world's freak shows, you know, the groups that travel to carnivals and shows and whatnot to perform. Both are the same in which they long for acceptance. Thus the title "Freak Show" would make sense. Your male MC looks like someone who has had a hard life, so kudos to that. Your female MC seems a little misplaced and I think it's because of her hair design, albeit unique, I think in order for the hair to not stand out too much in what seems to be a Grimm world (all imo) is to give her stronger eyes. I can't really think of a unique title seeing as I don't know about the overall focus of the story, but if I had to take a stab at it... Grey. The group is composed of humans, half breeds, monsters, and a couple demons, all in the group for their own reasons. An odd assortment indeed, however they are not the primary focus of the story. In fact if I write this as a one-shot then they would only be briefly mentioned. 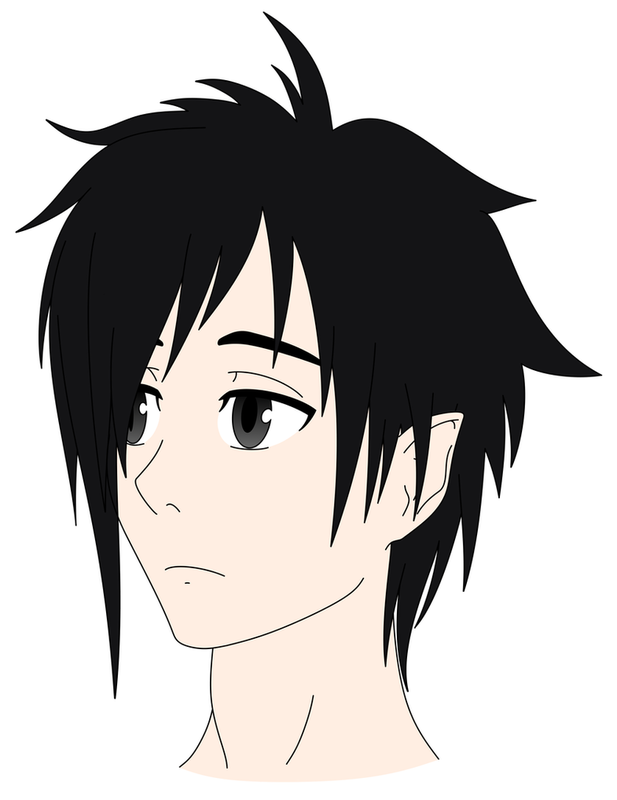 Well my art style is still evolving, but I'll see what I can do. "Grey"... I like it. It's simple, yet it suits it. Digging this topic up since this is the story that my characters that I'm using for the cross over event are from. Might be best to ignore the info provided above until I can update it. I've been considering turning this story into a light novel rather than my original plan for a comic. It would cut down on the time it would take to put out chapters and with the written format I would be able to focus more on what is going on inside the characters heads. Another change that I have been thinking of is that I'd like to change the title. I'm not sure what to yet, but I have a general idea. I'd like for the title to be the same as the orphanage/team that Jasper's adoptive father created. The orphanage is filled with mostly mixed blood kids that the team has found on their demon slaying travels. Since almost no one in this world is fond of mixed-bloods, no one adopts them. The team and the kids are mostly one big growing family. Jasper also started a rehabilitation center for animals and some of the more harmless demons/monsters. This contains spoilers... and it's incomplete and subject to changes. Species: Half wolf-folk (werewolf), half human. Their personality: Would prefer to live a quiet life and hates having to be chased everywhere just because he's a half breed. He is a neat freak. Likes to sight see when traveling to new places. He hates fighting and prefers to run when confronted. His relationships end at acquaintance because he doesn't want to betray the trust of others. He tries to act cheerful, but is lonely. Thomas is laid back and is usually passive when it comes to inevitable changes. Things they like: Calm, rain, early morning walks, cats, clean habitat, cold, sleep. Things they dislike: Danger, work, bright sunlight, filth, blood, fighting, heat, crowds. Personality: If someone were to describe him they'd say that he's a good guy, a hard worker. But on the inside he's just a lonely person trying to distract himself from his painful life. He doesn't form bonds with others easily due to his fear of hurting someone, which in his mind is inevitable. He's also quite the neat freak and a bit of a germophobe. How do they speak: Normal around people he knows, politely around strangers. Physical description: A young man with medium length black hair and gray eyes. He wears a gray travel coat, black pants, boots, and gloves. The curious thing about his apparel is that he wears it even when it's very hot. Under these are claws and large patches of fur. He has semi-dog like ears on the sides of his head hidden under his hair and he also has fangs. Abilities: He is stronger and faster than normal humans. He also has a better sense of hearing and smell. Lots of stamina. Powers: Can understand animals, mostly wolves and canines. MOVE 1: Heightened Senses - Thomas can often detect approaching danger due to his superb sense of smell and hearing. MOVE 2: Flee - He's a coward when it comes to fighting so he runs more often than not. He's fast. MOVE 3: Hide - Since this is what he has been doing for most of his life he is quite good at it. He is often able to hide with minimal cover. MOVE 4: Bite - "Eww..."
MOVE 5: Scratch - His normal method of attack. He can do a decent amount of damage with it though. Super 1: Wolf's Instinct (Anger) - When enraged to extreme levels (hatred for someone who killed a friend, betrayal, etc) Thomas gives in to his instincts and... well becomes practically the opposite of who he was before. He will kill the person who angered him, probably ripping them apart. And if a someone, a friend perhaps, tries to stop him... well... bye bye. Super 2: Wolf's Instinct (Fear) - If he fears for his own life then the results will be the same as above, however if he fears for the life of another then that changes things. He will be driven by his instincts, but this time he's in control. He will still be able to fight to his fullest, but he will protect his comrades and functions with a fairly rational mind. Also he goes for more of a clean kill with this one rather than a bloody massacre. 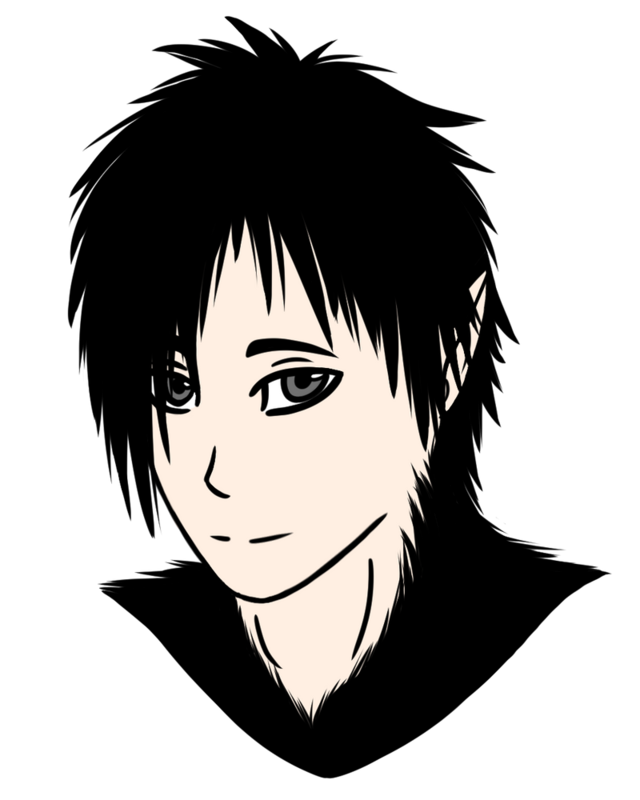 Species: Dhampir (Half vampire, Half human). Background Info: A halfblood who spent the first half of her life raised in a redlight district of vampire territory. She then later ran away and was found and accepted into a group of bounty hunters called the "Strays". 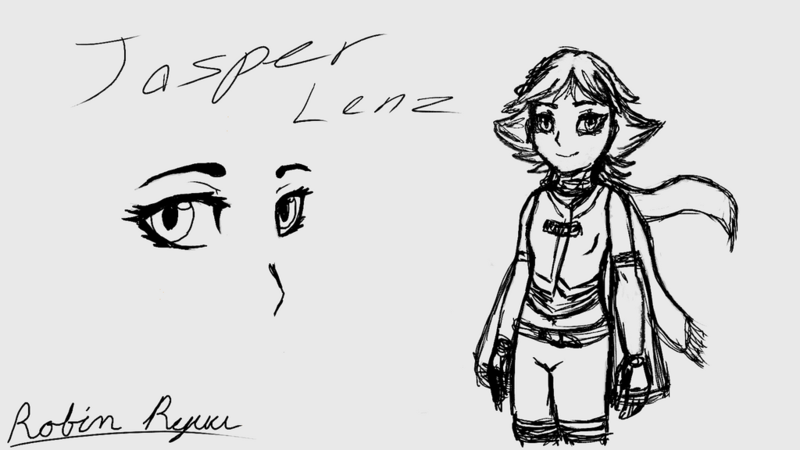 Their personality: Jasper is headstrong and reckless, but she also cares for the well being of others. She is temperamental and is rough with her words, even when she is trying to be kind. She hates the way strangers scorn her, but refuses to let that hamper her. Is smarter than she tends to act. Things they like: Success, praise, boyish things, and her adoptive father and his team, kids, animals. Things they dislike: Failure, weakness, complaints, dresses, strangers, and discrimination. Fear(s): Having a lack of control over any situation, being trapped in small spaces, men. Weapon(s): Dual enchanted daggers and some magic. Can summon several familiars. Other: She normally has red eyes, but she can change them to green if she concentrates. Personality: She is usually cocky, blunt, and rough to friends and enemies alike. She can be harsh and sarcastic if you annoy her, which is easy to do. She is friendly and nice to children and animals however. How do they speak: Normal, though she doesn't hide the fact that she gets annoyed by "useless" chatter. Physical description: Has a very boyish appearance and her mannerisms also lead many people to think that she's male. She has red eyes and red tipped black hair. Her clothes are mostly shades of crimson and black. Abilities: She is stronger and faster than normal humans. Weakness: Rash and quick to jump to conclusions. She is also not used to working in a team. Combat Type: An instinctive fighter that uses her prior knowledge of her target to aid herself when fighting. She uses both magic and her daggers. MOVE 1: Dual Daggers - Jasper has 2 daggers that she carries concealed within her sleeves. Her speed and strength allow her to quickly overwhelm most opponents. MOVE 2: Cursed Dagger (right) Bloodletter - Jasper's right dagger has a curse that hinders the healing abilities of her opponents. She must be wary of letting the fight drag on if she uses the dagger's special ability since it drains her life force as she uses it. The effect ends when she stops using the daggers ability or runs out of stamina. MOVE 3: Cursed Dagger (left) Shadow Slicer - The curse of the left dagger allows the wielder to cut shadows. The damage done to the shadow is mimicked on the real body like a voodoo doll. There are limitations with this ability however as Jasper must exert as much strength as it would take to cut the actual object. So basically if she can't cut a wall then trying to cut it's shadow will do no good. However the size of the shadow also has an effect. The larger the shadow compared to the real thing the less dense it is, but a smaller area will be cut. The opposite is true for a shadow that is smaller than the main body. MOVE 4: Summon Steed - Jasper has a spirit horse familiar named Smokey. If summoned Smokey will come forth from the spirit world as a cloud of dark smoke. He is more intelligent than a normal horse and can understand the human language. He will obey only Jasper unless she commands him to obey someone else as well. He is impervious to all physical attacks as he will simply turn into a cloud of smoke and reform. He doesn't tire like a normal horse would, but he can only stay as long as Jasper is conscious. Jasper is able to fight while riding him if necessary. Jasper pampers him and often summons him to brush his hair and talk to him. Jasper's horse - Not drawn by me. MOVE 6: Heal - She can use magic to heal minor wounds on herself and others. She's not very good with this spell. Super 1: Blood Sacrifice - By sacrificing a dangerous amount of her own blood (life force) she can temporarily boost her own physical attributes. Super 2: Forbidden Blood Magic - By sacrificing the blood and life of another she can extend her own life and become much stronger. This particular spell is the reason behind the Vampire race's infamy. Jasper has resolved to never use it even at the cost of her life. Re: Grey - Ask me questions! Alright, I have cleaned up the info in the posts and made everything tidy. Feel free to comment here if you have any questions about the story, world, and/or characters. I am the most creative when trying to explain stuff. Wolf-folk are my story's version of the werewolf. Instead of humans that suddenly turn into a wolf during the full moon, the wolf-folk in my story are a race that gradually transform throughout the course of the lunar cycle. They appear as a large wolf during the full moon, on the gibbous moons they appear as a bipedal wolf, on the crescent moons they look like hairy humans, and during the new moon they look completely human. However it is not only their appearances that change, but also their personalities. As they are closer to human form they might cherish human values, but as they become more wolf like their personalities become more wolf like as well. 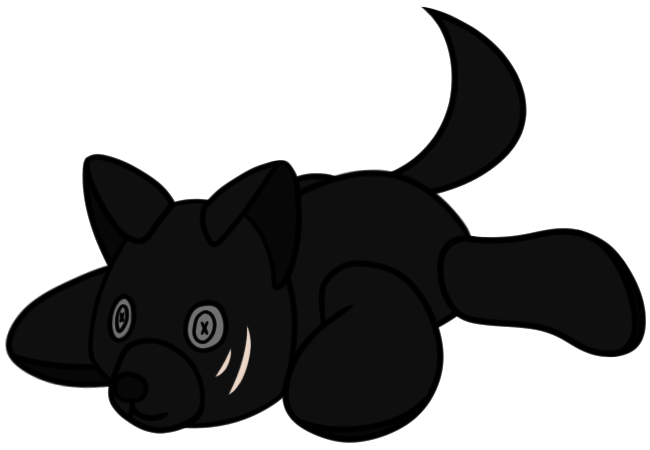 A young werewolf might be given a doll when they are human and play house with it, but when the same child plays with it in wolf form it might become a chew toy. Any hybrid that contains wolf-folk blood is a half-wolf. Half-wolves' bodies tend to be a mixture of the different forms. Most halves are stillborn because their anatomy doesn't match up. Survivors are rare. Also half-wolves do not transform like their parent and they are stuck in a the form that they are born as. A problem that halves can develop is a personality disorder. Like their bodies their minds also have the mix up of human/wolf personalities. Their mindset change doesn't depend on the moon phase, but rather their emotions. The general rule is that if the half looks mostly like a wolf they will feel mostly wolf and might develop human qualities every so often. And if the half looks mostly human then they will feel like that and may feel wolf like at times. But if/when they develop the personality change halves will typically become quite violent and ruthless, more so than a full blooded werewolf during the full moon. This is because they are not used to the change of instincts and when it occurs they are usually at an emotional extreme. Based on what I just read, this story is about a team of mixed-breed kids at an orphanage hunting demons while tryng to become accepted by humans? aybe its just me but I didn't really see you write a synopsis so I found it a bit hard to get what the main point/concept of this is supposed to be, so maybe try to write one in a small paragraph answering these two questions: Who is the main character? What are his/her goals? That way, we get a better idea of what's going on in a short way, then comes the fun part. Background Info: Born from the union of a werewolf and a human and is hunted due to this. His parents died when they were attacked by a stronger monster/demon and held it off so that Thomas could escape. He regrets not helping, but there was nothing he could do. He is always on the run and rarely socializes with people due to the fact that he would frighten them if they found out what he was. Makes a living by doing odd jobs, stuff like repairing roofs, field work, deliveries, cleaning... Pretty much anything that he could do once and be payed for the work. He didn't want to be tied to any companies in case he had to run. See the words in red & glow.You might not agree with this, but I think it was a bad idea to describe your characters' personality and background info before you actually write it, and I highly recommend changing that. 1. It gives a bit of a spoiler on what to expect when we actually get to reading it, which kinda takes away some of the fun of reading something that's supposed to be surprising. It'd be like I told you a character is a tsundere or something and then have the story about it, now that wouldn't be fun if I already told you what to expect, would it? 2. It doesn't really make much of an impact on the reader because we just learned about them through summary instead of action & thought. If you were to show that instead, we could get to know what actions they committed, their reasoning behind it, or maybe even a small peak into what they're thinking at that point. Incorporating the idea of "show, don't tell" is my suggestion. Like if Thomas is lonely and a neatfreak like you say, why not have him perform some actions that show he feels and why so? By just telling that, you're essentially saying to the reader what they are supposed to think, it makes it look like you couldn't find a better way to convey it than to straight up tell us, which doesn't really impress much. We don't really need people to tell us the nature of a character, we can decide so ourselves based on what he/she says, does and thinks. I also would advise against telling a backstory like that too. Not only does it give a spoiler as well, but its essentially an info dump told at the beginning of a story that's very likely to bore your readers and make them lose any interest in your story that they would've otherwise had. As said before, its best to indirectly describe a character, and we should learn about them gradually as we read along through it. By telling about your char's childhood or trauma or something like that is a bit like telling your deepest, darkest secrets to someone you just met. As the writer, I know you must love your characters, but we ourselves aren't quite there yet. Its just like with real-life relationships with your friends, your readers' relationships with the character needs to go through stages before we learn their backstory or anything: strangers, acquaintances, friends, and then go through with the secret stuff. After all, how would you feel if someone random started telling you about the problems of themselves or someone else you don't know? I didn't write a synopsis because I am not yet sure in which direction I wish to take the story. I am torn between having the story be done in the normal way, or if I would rather go the short story route. The normal way would have Thomas and Jasper as the main characters and they would proceed towards a final goal. The short story route would basically have a different main character for each mini story and tell the stories of the world. In all honesty, I love world building and cheating backstories for characters, but when I get to actually trying to create a plot for said story I freeze. I simply can not or have not been able to find an overarching plot that I find interesting enough to make the story follow. As for the second part of what you wrote I'm honestly a bit confused as to why it's a problem. Yes, handing a big chunk of info to the readers is a bad idea when you are presenting the actual written story and I'm not planning to. But this one is in the concept stages and the info was put there for any one who wish to test me when it comes to developing the characters. I have it labeled as "Info" as well so of course it contains their information. Plus, it's in a spoiler tag so saying that people will get spoiled... duh. Their choice to read it. In short... if you're worried about getting spoilers then wait for the finished product. Fang is a character that appears twice in the story. Both times trigger a change in Thomas' personality. 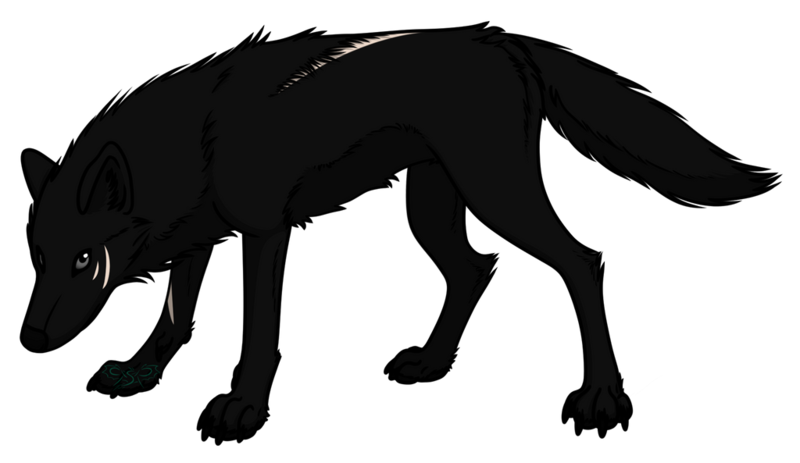 Species: Half-wolf / Dhampir (Half vampire, Half wolf-folk). Background Info: Fang is a monster, a demon of combat. He appears to be more like a deformed giant bear rather than anything resembling a wolf. He has lived his life killing most anyone unfortunate enough to cross his path. 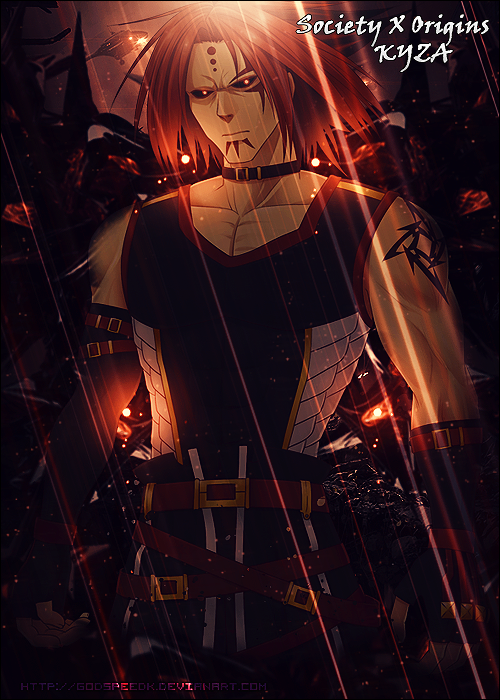 He becomes stronger and his lifespan increases every time kills due to his vampiric blood and abilities. He was originally from a clan in the north, but gradually made his way south. Their personality: He delights in bloody combat. He kills no matter who the opponent, woman or child, and has no regrets about it. Things they like: Fighting, killing, blood, meat, strength. Things they dislike: Weakness, growing old, begging. Other Info: Has red eyes, graying dirty blonde hair, a missing fang, and he walks with a limp. Yay! I finally found a title I like. Updated the first post to include a story synopsis.